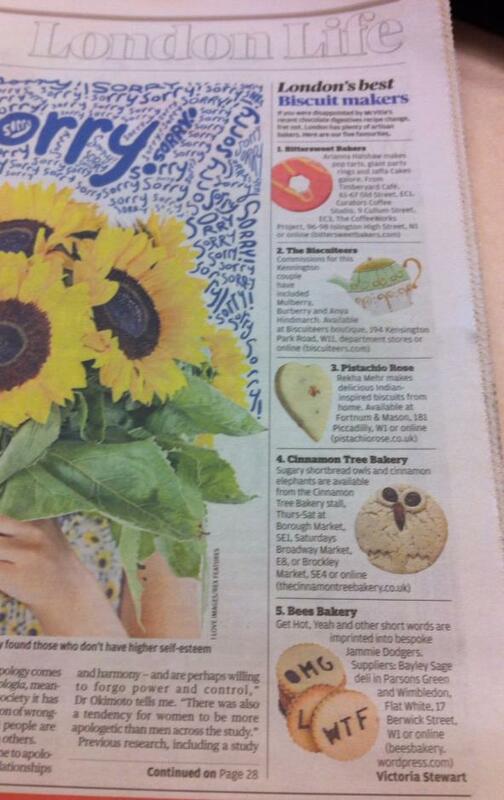 Evening Standard name Bee’s Bakery in their top five best biscuit makers! I am deeeelighted that the Evening Standard named Bee’s Bakery in their top five biscuit makers…being listed alongside the Biscuiteers is something I am very proud of indeed! Here’s a (terrible) picture of the article, and a link to the online piece is below. My beautiful vegan banana cake recipe! Nutribullet brownies – gluten and dairy free, vegan too! Bee’s Bakery is officially in VOGUE!